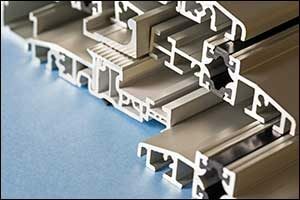 Due to our vast experience creating custom extrusion dies and industry solutions for our clients, Silver City Aluminum has earned a solid reputation for creating specialty aluminum extrusion design right here in Southeastern Massachusetts and throughout the industry. Our one stop shop fabrication facility does everything on-site, reducing our lead times considerably compared to our competitors. Whether you require special profile designs, unique secondary operations or would like to add finishing services, such as anodizing or painting aluminum products to your project, our team can guide you through the process and help you to achieve your goals. First and foremost we provide top quality aluminum extrusions to clients across many different industries throughout the country and around the globe. We can offer standard extrusion shapes and sizes or create an unlimited variety of custom shapes and options based on your unique specifications. The reason why we do everything in-house is so we can maintain complete quality control over every single step in the process to ensure customer satisfaction. We have extremely high quality standards, and our goal is to provide our clients with completed orders that exceed their expectations. If you require a custom aluminum extrusion design, we have found that the sooner we start working with our clients in the development phase, the better the results. Rely on our many years of training and experience to ensure that you get the parts, products or components that you require with the best possible outcome. You can view more about our extrusion, fabrication and finishing capabilities on our website to learn more about what we do. Or, you can speak with one of our engineers or technicians to discuss your needs directly and determine what would be required to achieve your goals. If you can dream it, we can do it. Silver City Aluminum uses the experienced skills of our crew and our state-of-the-art equipment and facility to produce specialty aluminum extrusion design. We have worked with automotive companies to develop high strength, low weight solutions to improve fuel economy, creating collars designed to reduce costs and ensure an effective and durable alternative to costly, heavier steel. We have also worked with clients to develop custom extrusion dies for heat sinks that are necessary for the liquid nitrogen to gas conversion for big holding tanks. You can see them in action at commercial buildings, local municipal buildings, hospital parking lots, and other industrial locations. We have also been asked to create unique designs at our one stop shop fabrication facility. As a result of this experience, we can produce highly efficient custom snowmaking gun designs for our clients. Made from special aluminum extrusion, these products are lightweight, easy to transport and a breeze to use, yet are very durable. They are strong enough to withstand the high pressure required to make them work even in the toughest outdoor conditions and temperatures. This gives our product a clear advantage over similar applications created by other contractors that use other methods. Telescoping profiles with extremely tight tolerances, helicoiling, and product assembly are just some of the specialty services available at Silver City Aluminum. We take pride in going above and beyond to provide our customers with the best possible services available. Our custom finishing services include options for painting aluminum products, as well as powder-coating and anodizing, depending on your needs. To achieve a consistent color application and top-rated adhesion, we utilize a four-stage pre-wash system and apply the paint at approximately 2ml’s wet in thickness. We constantly monitor the passing parts on our line and check them frequently by our staff throughout the process to ensure quality control. Once the paint has been applied to our aluminum extrusion design, the materials are cured through a baking process in one of our custom ovens. After curing, we take them off the line one at a time by hand so they can be inspected by our team of highly trained technicians before they are brought to our shipping department. Once they arrive at shipping, they are checked again to ensure quality results before they are packed up for delivery. Quality control and consistency with every single product that we fabricate is one of our requirements at Silver City Aluminum and is a big reason why we have such a solid reputation in the industry for delivering top-notch results. Are you interested in working with our team? Give us a call at 508-824-8631. We can answer any questions that you might have about designing custom extrusion dies, painting aluminum products or any of the other quality services that we provide at our one stop shop fabrication facility.